Before arriving in Gustu’s gleaming kitchen, which is heated against the high-altitude chill of La Paz, the caiman swam and basked in the steaming rainforest of the Bolivian Amazon. When fed on piranhas and the occasional capybara, the reptiles can grow to almost 10 feet long — and they’re not exactly a mainstay of elegant dining rooms. At Los Angeles’ Animal, elegant small plates feature pig ears and marrow bones, once the stuff of peasant kitchens. 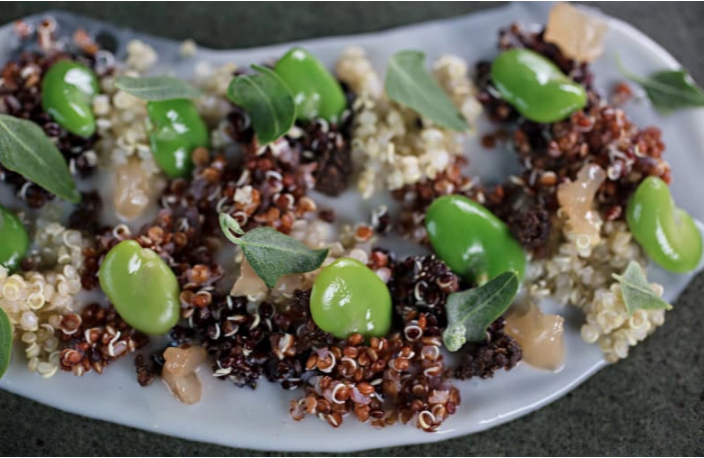 In New York’s Blue Hill at Stone Barns, a $258 tasting menu might include stinging nettles, invasive knotweed and sassafras buds from the surrounding forest. 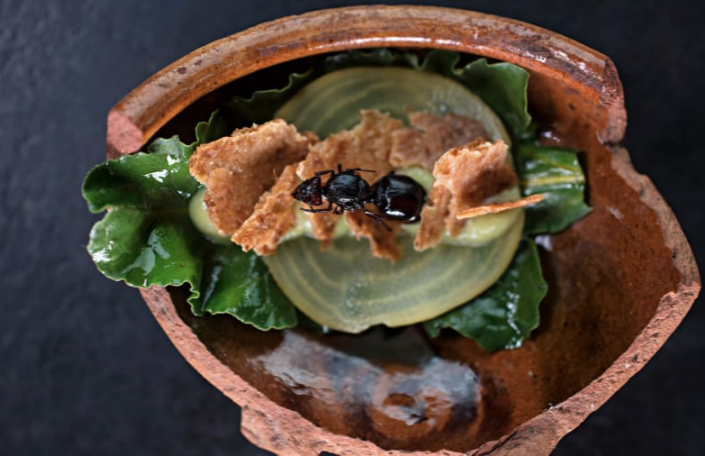 British chef Fergus Henderson has helped bring “nose to tail” cooking to fine dining in the United Kingdom, and a recent summer menu at his St. John restaurant in London listed pig’s tongue, trotters and spleen among the options. For some chefs, it’s a return to authenticity or sustainability. For others, it’s a question of flavor. 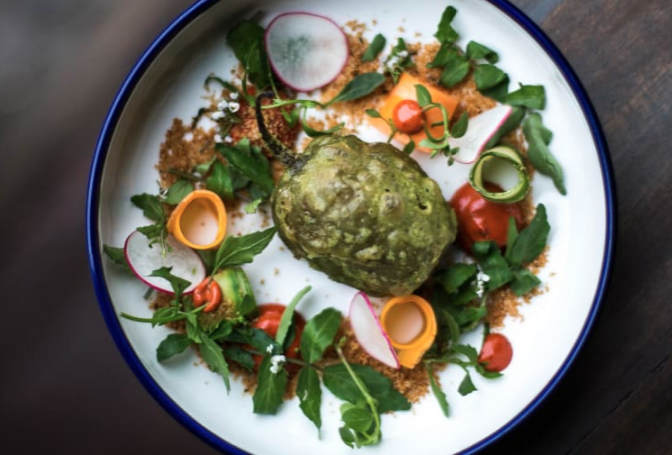 But for a handful of Bolivia’s young, ambitious chefs, Amazonian caiman, altiplano potatoes and fish from Lake Titicaca have a revolutionary appeal. The country, which is majority indigenous, was a Spanish colony for almost 300 years, until 1825. It’s a history that still resonates. Taha, a La Paz native who’s worked in the Gustu kitchen since the restaurant opened in 2013, has found the job to be a lesson not just in cooking techniques, but also in botany and wildlife biology. At first glance, Taha’s culinary journey parallels the original vision of Gustu owner Claus Meyer, co-founder of the acclaimed Danish restaurant NOMA. 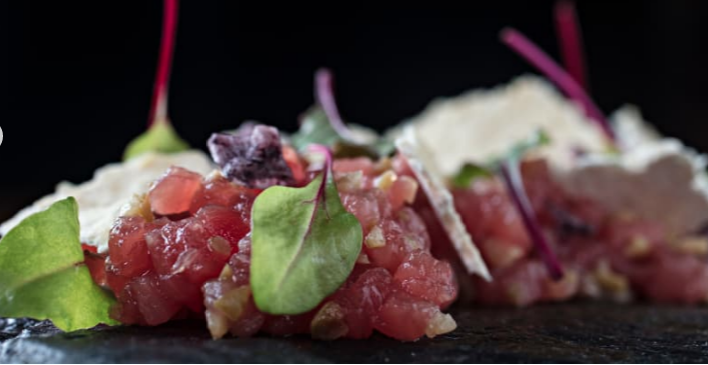 Looking for a new project, Danish-born Meyer combed the globe for an impoverished country where an innovative restaurant could be an economic boon, but also one that would be rich with “undiscovered” ingredients. He found that in Bolivia, one of the poorest countries in Latin America. With a landscape that goes from snowy Andean peaks to Amazonian rainforest, the country’s varied ecosystems and biodiversity produce a remarkable variety of foods. “Bolivia may have the most interesting and unexplored biodiversity in the world,” said Meyer, suggesting that his work in Bolivia could be transformative, and that he’d seek out young people with few opportunities. “We would be the catalysts, in opening their eyes to the enormous potential in the country,” Meyer said to Danish reporter Julian Isherwood. 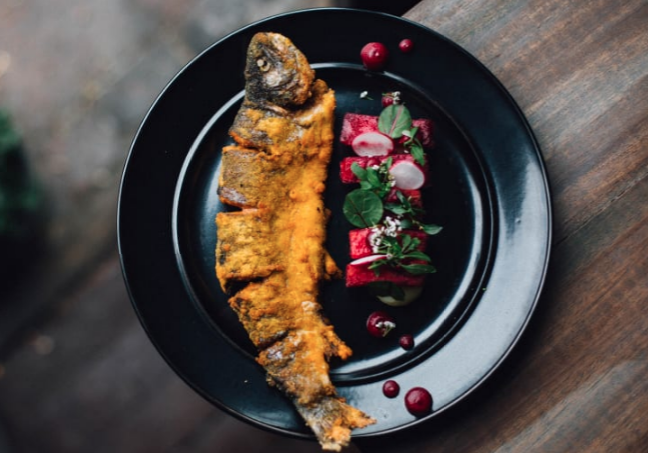 But since the restaurant opened under the direction of Danish chef Kamilla Seidler, Gustu’s helped transform the La Paz food scene, starting by shaking up local ideas about what qualifies as high cuisine by putting indigenous ingredients front and center. Meanwhile, Meyer’s talk of “discovery” — which one local chef accused of colonial undertones — has given way to a high-flavored celebration of Bolivia’s heritage. “It was like: ‘You can be Bolivian, but not too Bolivian,'” said Rodas. “In the end, chefs want to show what they’ve learned in foreign countries or show off expensive, imported foods,” said Aguilar. Bolivian beer and wine are poured alongside courses that range from classic anticuchos — grilled cow heart served with potatoes from the high-altitude altiplano — to baked trout pulled from Lake Titicaca. Even the most traditional dishes feature unexpected twists drawn from the chefs’ experience in internationally influenced kitchens. Founded in 2015 by La Paz local Sukko Stach, Antigua Miami is just downstairs from Popular, and it’s one of a few La Paz cafes to feature locally-grown and roasted beans. 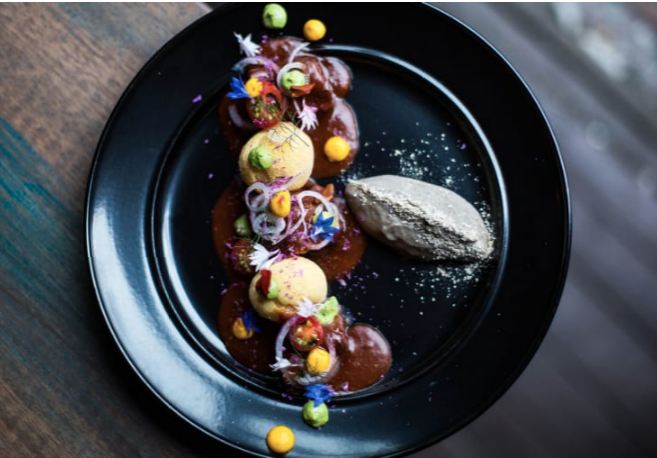 Like the young chefs in La Paz, Stach is working to keep some of Bolivia’s finest products inside the country, both at Antigua Miami and at Hay Pan, a wine bar that he founded to highlight local vintners. “The best coffee and the best wines leave the country before they’re even available to buy here,” said Stach, who travels to Bolivia’s grape- and coffee-growing regions to find sources for his coffee shop and wine bar. The steady flow of high-quality goods leaving Bolivia echoes the country’s almost three centuries under Spanish rule, when ships laden with local silver, gold and tin sailed from South America to Spain, enriching colonial rulers at the expense of locals. Now, exported Bolivian wine lands on tables in Japan, Europe and the United States. And for Stach, purchasing a share of each year’s best wines can require an unconventional approach. As with the meals at Gustu, that places his menu beyond the reach of many Bolivians. It’s an irony that’s common in the high-end La Paz food scene. Even as Stach works to keep good-quality coffee and fine wine within Bolivia, many of his customers are foreigners who could have purchased those products at home. At Gustu, Sumaya Prado estimates that when the restaurant opened, 80% of guests were foreigners. Now, Prado says, as the restaurant has become a source of pride for Bolivians, the balance has finally shifted a little — to 60% foreigners, 40% locals. The owners of Popular Cocina Boliviana designed their restaurant’s schedule and menu in the hopes that they could buck the trend, starting by opening in a downtown business district with plenty of local office workers. Jen Rose Smith is a freelance writer and award-winning guidebook author whose work explores travel, adventure and food. She’s currently living on the road, with a mountainous 2018 itinerary that goes from the Andes of South America to the foothills of the Spanish Pyrenees. Read more of her work at jenrosesmith.com. This entry was posted in Bolivia, Business, La Paz, Tourism and tagged Bolivian cuisine. Bookmark the permalink.